Güterwagen zur Feier vom 107. Tournament of Roses Fest in Pasadena, Kalifornien, USA im Jahr 1996, hergestellt im Auftrag von Inland Trains Hobbies in Upland, Kalifornien, USA. 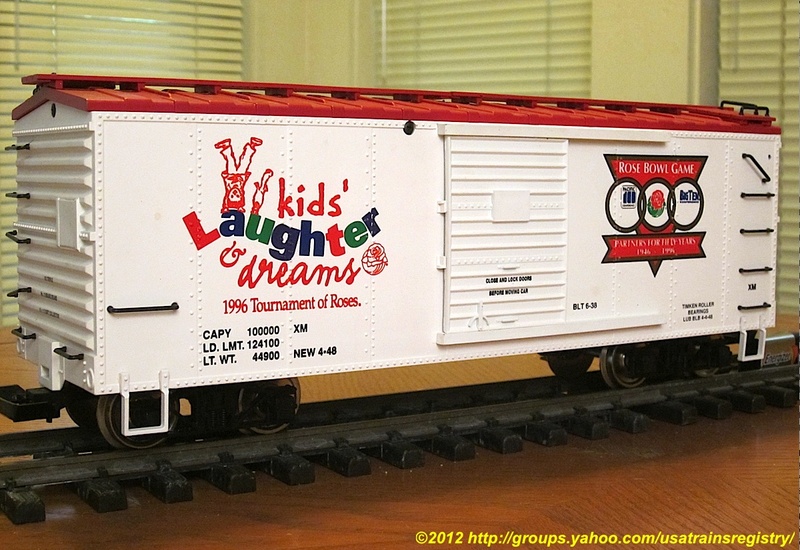 Box car to celebrate the 107th Tournament of Roses in Pasadena, California in1996; commissioned by Inland Trains Hobbies of Upland, California.